Jeffrey Schulz, TBOT Member. 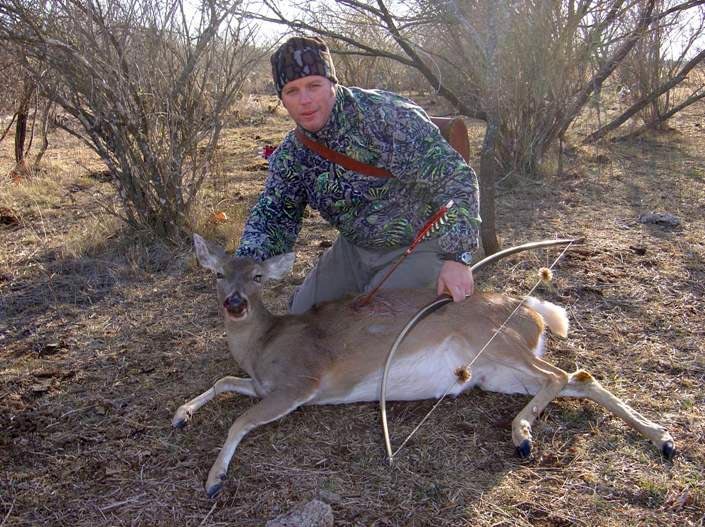 I took this doe in Llano, Texas on 01/17/2009 on the Allred Ranch, late season doe and spike hunt. The shot was 15 yrds from a treestand, 66” Big River Longbow, 2020 arrow with 160 gr. STOS BH and 100 gr. adaptor.